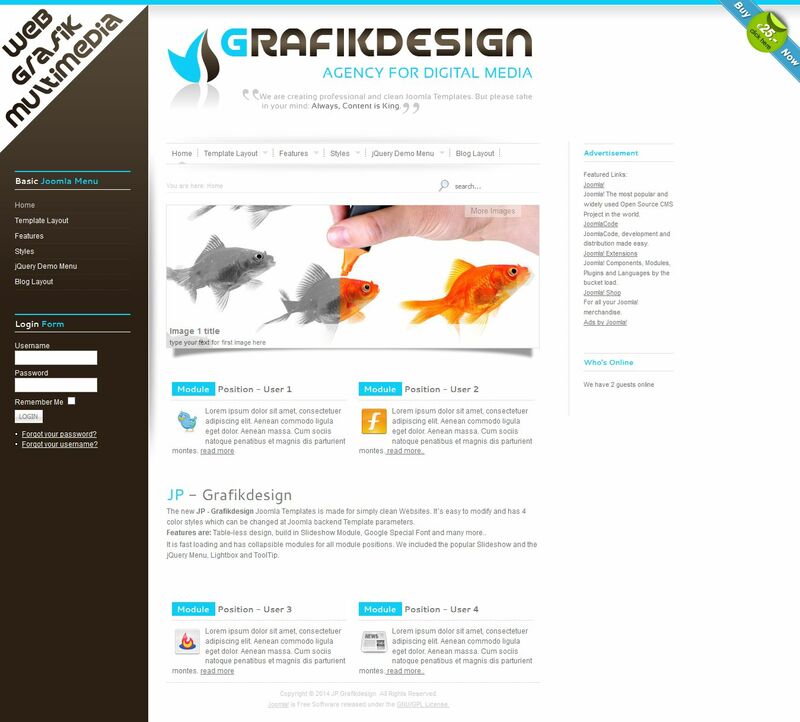 JP Grafikdesign - modern business template with a clean and light design, which is perfect for creating websites small design studios, as well as portfolio showcasing various products. This template has a convenient settings panel contains four color schemes and fully supports the display on mobile devices. Thanks to high-quality layout template has a high speed of loading pages, has a folding modular design and allows to edit all visible elements of design layout. The package includes corporate module Slideshow, which provides a convenient rotation materials on the home page.